A new OC'd GPU from the HIS team, but can it take the fight to the mighty Nvidia GTX 260? Unfortunately the IceQ 4+ Turbo isn't quite as good as the nearest competitor although it's still a quality card. It seems that in trying to resist the coffer-draining effects of the price war that's going on between all other graphics card manufacturers, HIS is resolutely sticking to the £200 plus price point for its overclocked Radeon 4870 GPU. What you get for this extra £50 over the price of a standard 4870 is a whopping 20MHz overclock on the GPU and a new cooling solution. Unfortunately, neither of these gains seem particularly impressive when you compare the card to the similarly priced, overclocked GTX 260: a GPU that single-handedly digs a shallow grave, drops the Ice-Q in, covers it up and does a little jig on the turned earth. At every point, and in every test, the GTX 260 demonstrates its dominance over the Ice-Q – usually by a fair distance. Even when tested in the traditionally AMD-friendly GRID, we found the GTX 260 is capable of another 20fps on top of the Ice-Q's otherwise impressive 82fps. The supplanted cooling solution ought to help out the overclocked chip's case, but while it does manage to keep the card cooler than its reference-designed brethren, the constant throttling up and down of the fan quickly becomes an annoyance. 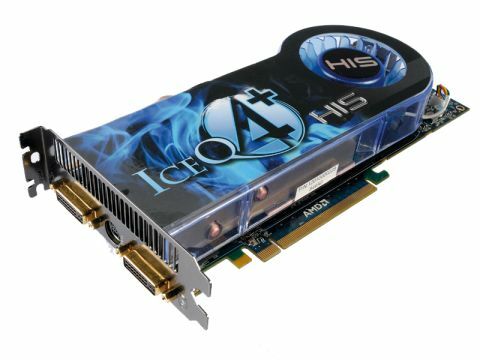 So, while the Ice-Q is a pretty nippy card, it just can't perform fast enough to justify its price tag. Before the significant Nvidia price cuts this would have been a contender, but now it's been reduced to the lowly status of an also-ran.